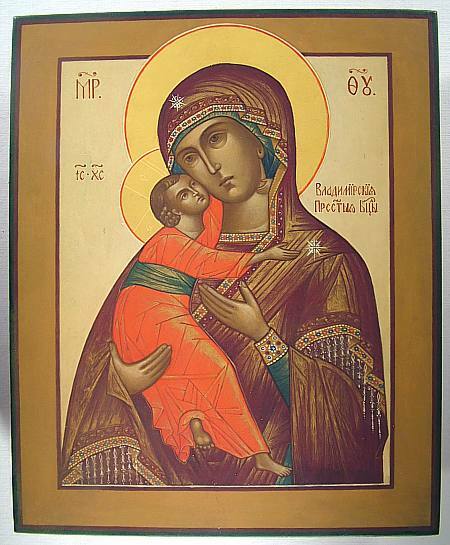 The Virgin of Vladimir is beautifully painted on this relatively small modern day icon that comes from the village of Palekh. 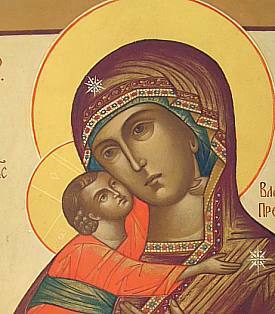 The original icon is perhaps the most famous in all of Russia and the Virgin is thought to protect the country from outside invaders. In this icon, her eyes have an enormous amount of feeling, if not sadness in them, and this spirit is often reflected in the Russian soul and character. The icon is masterwork of subtlety and high precision, and was likely done by a top painter in the village, although it was not signed in accordance with the traditions of icon art. 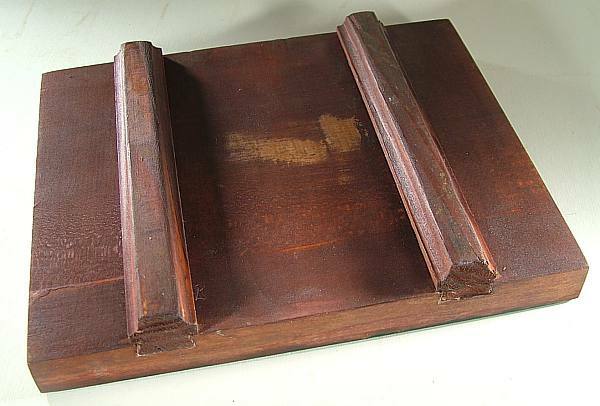 There are two slats in back, which has a dark stain to it. The icon does not have any kind of lacquer surface or shine, and its impact rests solely on the art work.